Ricky Toledo was 15 when a handsome lodger rented a room in her family’s small, rural home. Lust, adultery and murder would follow. It’s three years later and the serial killer who murdered Ricky’s mother and got her father sent down for it is cutting a bloody swath through the broken soul of America. 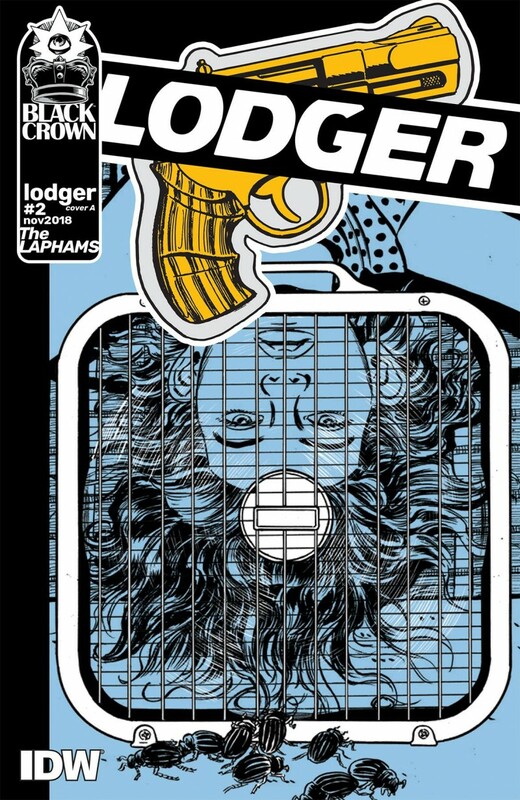 This warped game of cat and mouse between a tortured young woman and a serial killer can only be told by the comics masters of the crime thriller and the artform, David and Maria Lapham. The first black & white title from Black Crown!